As reported in IWLA1891 last week, two states have introduced drafted legislation that imposes statewide licensing standards on third-party logistics providers who store and/handle pharmaceuticals. In response, IWLA has signed this letter with the Pharmaceutical Distribution Security Alliance to Louisiana in regards to SB 39. 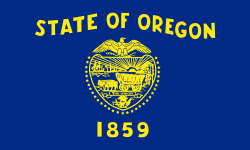 And, IWLA Washington Representative Pat O’Connor talked to the Oregon Board of Pharmacy on May 19 about its proposed rule that will require a 3PL to be licensed as a Drug Distribution Agent (DDA). According to O’Connor, those on the call asked several questions about 3PLs that indicated their lack of understanding of a 3PL’s role in the supply chain. What are the differences between 3PLs and wholesalers? How does a 3PL track inventory? Does a 3PL handle controlled substances? Who makes the decision to sell or ship? “One person on the call was under the impression that a 3PL never has possession of the product. My response was that they may be referring to a broker not a warehouse 3PL. They mentioned a concern with 3PLs and the gray market,” O’Connor reported. Board members requested that IWLA’s written comments for the hearing include a tutorial on the role of the 3PL in the supply chain. The next hearing is scheduled for May 28. Stay tuned for more developments from these two states. ← IWLA Economics Course: Did You Miss It?